Deborah Ross directs her own non-profit evangelistic ministry dedicated to: Saving Souls. Transforming Lives. Healing Hearts, Minds and Marriages with The Word. Today, this multi-talented wife and mom travels the globe in full time ministry. Her calling is to impact the nations for Christ, serving as a Christian Speaker, Bible Teacher, Television/Radio Host, Author, Blogger, Social Media Vlogger and Biblical Marriage Counselor. She'll even share in song or dance choreography as the opportunity arises - all for His glory. Deborah Ross Ministries has many outreach sub-ministries including: The Woman2Woman Ministry; The Save It! Marriage Ministry; Choose Life Television & Radio Ministries; Cold Water Prison Ministry and Bertram & Ross Consulting. Deborah is able to connect with all ages while crossing denominational and ethnic borders. You’ll find Deborah Ross sharing the gospel in prisons, in churches, leading Bible study groups, on foreign mission fields, on television, by radio, at conferences, via the Internet, in magazines and most any other platform that is made available to her for the cause of Christ. Deborah has authored several books including, Healing a Broken Marriage which is a powerful teaching testimonial of her personal marriage journey that was upside down for 18 years. Having overcome marital adversity that seemed insurmountable, Deborah is compelled to share her story so that others are encouraged and empowered to believe God for their own marriage miracle. In 2012, The CBN 700 Club featured the story of Jay and Deborah Ross on their show. 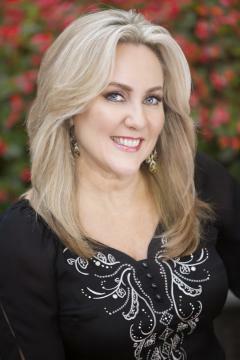 Deborah has since authored many books including, Woman2Woman: The Naomi & Ruth Experience. This in-depth study serves as a tool that facilitates spiritual growth, help, hope and healing from: a broken heart; shattered relationships; addictions; prison/jail time; a life of dysfunction; abandonment; mental, physical or sexual abuse; and more. Deborah has two syndicated radio shows and one television show called Choose Life with Deborah Ross. Choose Life Programming is a listener supported outreach of her non-profit ministry. Millions of listeners tune in each week for Bible teaching, testimony, music and more as Deborah Ross empowers them to "LIVE IN THE BLESSING." Her programs are airing from coast to coast. Deborah Ross is a full-time evangelist who is Professional, Effective, Purposeful, Enthusiastic, Animated, Magnetic, Compelling, Fresh, Sincere, Relevant... and CONTAGIOUS! She is looking forward to ministering to the women of your church for conferences, retreats, special events and more. Contact her through her website for Bookings. Jay and Deborah Ross have been married since 1984 and have two young adult sons. Jay is a full-time real estate broker and part time evangelist. He is a deacon at First Baptist Church of Indian Trail on the outskirts of Charlotte, NC. Together, this dynamic duo can be booked to bring a power packed Couples Marriage Conference to your church or retreat location. They also team up for revivals and other church-wide services or events where you may have need of special speakers.